Home / Business / So You Want to Open a Wine Bar in 2016? So You Want to Open a Wine Bar in 2016? Now is the perfect time. According to the the world’s largest wine trade fair, Vinexpo, wine consumption has risen by 60 % in the last ten years, making it the perfect time to crack on with that dream of opening your own wine bar. Creating a wine list is a pretty daunting task. With so many to chose from, it’s easy to get overwhelmed. But never fear, your selection should be constantly changing (keeping a few good staples of course) so that customers never tire of visiting you, and you never lose your passion for good wine. If you’re planning to lease a property from a brewery, don’t forget to check the contract for buying restrictions. If they only want you to source your wine from them, you may find your range is a bit limited, and it will affect your profit margin on beers, spirits and draught soft drinks as well. Keeping things local is pretty key too, and not just when it comes to wine. Local beers and locally sourced food and even music can all help create an inviting atmosphere that will keep customers coming back for more. Your most regular customers are likely to be local themselves and will be undoubtedly far happier to support suppliers from their own community, giving you the edge over the big chain wine bars. In comparison to the traditional pub, a wine bar provides the opportunity to carry a larger range of wines, complemented by a few beers and a healthy offering of soft drinks for that all-important designated driver. 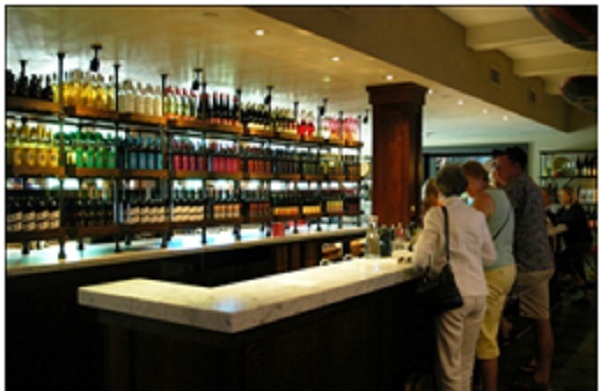 If the driver isn’t happy, your wine drinkers aren’t going to stay for very long either, so choosing your draught soft drink supplier is just as important as choosing your wine merchant. 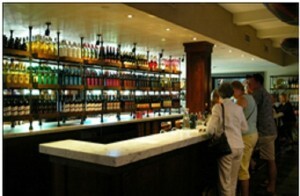 Sites such as empireuk.com/ can give you some ideas on what soft drinks to go for. It’s worth remembering too that your biggest mark-up will tend to be on soft drinks, making it even more important to get the right draught soft drink supplier. So what’s stopping you? 2016 could be the year to put all that fabulous wine knowledge to good use. And if that isn’t enough to convince you, just think of all that wine that clearly needs tasting before it makes your list.